Invented by a man named Chuck Hull back in 1986, 3D printing is a process of taking a digital 3D model and turning that digital file into a physical object. While Hull went on to launch one of the world’s la rgest 3D printer manufacturers, 3D Systems, his invention concentrated solely on a fabrication process called Stereolithography (SLA). 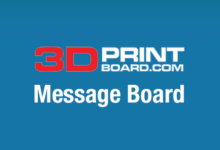 Since that time numerous other 3D printing technologies have been developed, such as Fused Deposition Modeling (FDM)/Fused Filament Fabrication (FFF), Selective Laser Sintering (SLS), PolyJetting and others, all of which rely on layer-by-layer fabrication and are based on a computer code fed to the printer. While there are numerous technologies which can be used to 3D print an object, the majority of 3D printers one will find within a home or an office setting are based on the FDM/FFF or SLA processes, as these technologies are currently cheaper and easier to implement within a machine. We will go further into detail about these technologies and others a little bit later. ‘3D printing’ can also be referred to as ‘additive manufacturing,’ especially when referring to its use within a manufacturing setting, and many individuals will used both phrases interchangeably. This is a broad question, which was partially explained in the section above. With that said, the best way to really understand how 3D printing works is to understand the various technologies involved. Similarly to the way that engines function based on some of the same principles as one another, but don’t all use gasoline or solar power, all 3D printers don’t use the same base technology, but still manage to accomplish the same basic tasks. Before we get into each of these individual technologies, however, one should understand the basic principles of transferring a 3D model on a computer screen to a 3D printer. Computers are not like humans; they can’t just look at a 3D model and simply tell their friend ‘Mr. 3D Printer’ what to print. Lot’s of 1s and 0s are involved, meaning lots and lots of computer code. Once a 3D model is designed or simply downloaded off of a repository like Thingiverse, the file (these usually have extensions such as 3MF, STL, OBJ, PLY, etc.) must be converted into something called G-code. G-code is a numerical control computer language used mainly for computer aided manufacturing (both subtractive and additive manufacturing). It is a language which tells a machine how to move. Without G-code there would be no way for the computer to communicate where to deposit, cure or sinter a material during the fabrication process. Programs such as Slic3r are required in order to convert 3D model files into G-code. Once the G-code is created it can be sent to the 3D printer, providing a blueprint as to what its next several thousand moves will consist of. These steps all add up to the complete fabrication of a physical object. There are other computer languages out there and perhaps many will eventually gain popularity, but for now G-code is by far the most important. Fused Deposition Modeling (FDM) was invented by a man named S. Scott Crump a few years after Chuck Hull initially invented 3D printing. Crump went on to commercialize the technology in 1990 via Stratasys, which actually has a trademark on the term. This is why the same general technology is often referred to as Fused Filament Fabrication (FFF). Basically the way in which this technology works is rather simple, and this is the reason why 95% of all desktop 3D printers found within homes and garages today utilize FDM/FFF. A thermoplastic such as PLA or ABS is fed into an extruder and through a hotend. The hotend then melts the plastic, turning it into a gooey liquid. The printer then acquires its instructions from the computer via G-code and deposits the molten plastic layer by layer until an entire object is fabricated. The plastic melts rather rapidly, providing a solid surface for each additional layer’s deposition. Depending on the maximum temperature of the hotend as well as other variables, numerous other materials besides ABS and PLA may be used, including composites of both materials, nylon, and more. As we’ve mentioned above, this was the very first 3D printing technology to be invented in 1986. With 3D Systems holding many of the patents involving this technology, which are in the process of expiring over the next few years, there has not been a tremendous amount of competition within the market. This means that the technology has been overpriced and used less often than the FDM/FFF alternative has. Instead of extruding a material out of a hotend, the SLA process works with a laser or DLP projector combined with a photosensitive resin. Objects are printed in a vat of resin as a laser or other lighting source like a projector slowly cures (hardens) the resin layer-by-layer as the object is formed. Typically SLA machines are able to achieve far better accuracy and less of a layered appearance than FDM/FFF technology can. All three of these technologies are very similar, yet have marked differences. We’ve found that many individuals use the terms interchangeably when, in fact, there are reasons to use one method over the others. Both Selective Laser Sintering (SLS) and Direct Metal Laser Sintering (DMLS) are in fact the same technology. The difference in terminology is based on the materials used. DMLS specifically refers to the layer-by-layer sintering of metal powders using a laser beam, while SLS is simply the same process but with non-metal materials such as plastics, ceramics, glass, etc. Both DMLS and SLS do not fully melt the materials, instead sintering them or fusing them together at the molecular level. When dealing with metals, DMLS is ideal for metal alloys, as the molecules have varying melting points, meaning a full melt can sometimes be difficult to achieve. On the other hand, when dealing with metals consisting of one material, for instance titanium, Selective Laser Melting (SLM) is the way to go as a laser is able to completely melt the molecules together. All three processes are currently expensive, and out of the budgets of most individuals and even small businesses because of the high powered laser beams that are required. Additionally safety precautions must be taken, meaning additional expenses on the part of the user. A technology invented by the Israeli company Objet, which merged with Stratasys back in 2012, PolyJetting incorporates elements of both inkjet 2D printing and the Stereolithography process. Basically, inkjet nozzles spray a a liquid photosensitive resin onto a build platform in a similar fashion as ink is sprayed onto a piece of paper during a typical 2D printing process. Immediately following the ejection of the material a UV light source is introduced to the material, quickly curing it before the next layer of photosensitive liquid is sprayed on top. The process repeats until an entire object is fabricated. Stratasys currently uses such technologies within their popular Connex family of machines. This is a process requiring the use of two different materials: a powder material (gypsum plaster, starch, etc.) that sits on a print bed, along with a binding ink which is ejected from a nozzle similar to that of an inkjet printer onto the bed of powder, hardening it. Once one layer of powder is binded, a rake-like instrument sifts additional powder over that layer and the process continues until an entire object is fabricated. This technology was originally invented at MIT in the early ’90s before being commercialized in 1995 by a company called Z Corporation, which was acquired in 2011 by 3D Systems for $137 million. Every week it seems as though new approaches are presented for 3D printing. There are new technologies which have recently been unveiled like that of HP’s Multi Jet Fusion, as well as Carbon3D’s CLIP technology. As we move into the next several years it will be interesting to see which such technologies take hold and which may fall by the wayside. What Is 3D Printing Used for and by Whom? 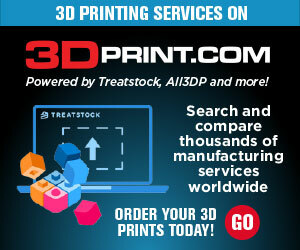 While initially 3D printing was primarily a technology for prototyping, this is quickly changing. Now numerous manufacturers are producing end-use components and entire products via additive manufacturing. From the aerospace industry, to medical modeling and implantation, to prototyping of all kinds, 3D printing is being used by virtually every major industry on the planet in one way or another. 3D printed models of human organs have been a frequent tool for surgeons over the last two to three years, as they provide a more intricate view of the issues at hand. Instead of relying on 2D and 3D images on a computer screen or a printout, surgeons can actually touch and feel physical replicas of the patient’s organs, bone structures, or whatever else they are about to work on. Additionally, there is research underway by companies like Organovo to 3D print partial human organs such as the liver and kidney. Organovo is already 3D printing live human liver tissue for pharmaceutical toxicology testing. They do so by using a process similar to an FDM desktop 3D printer that you might find in a home, but instead of thermoplastics and heat, they use hydrogels infused with living cells. Over the next decade, this research should really begin to pay dividends, and within 15 to 20 years it’s very possible that we will be 3D printing entire human organs for transplantation. Customized open source prosthetic limb fabrication is another important area 3D printing is excelling. Organizations such as Enabling The Future are printing prosthetic hands on sub-$2,000 3D printers by the hundreds, offering those with upper limb amputations something to cheer about. Besides 3D printing hands and arms, as well as legs, we have also seen 3D printed prosthetics for animals of all kinds, including a titanium jaw for a turtle, a shell for a tortoise, and legs for ducks, geese and even canines. Because of the unique geometries offered by additive manufacturing, militaries around the world, as well as agencies such as NASA and the ESA, along with numerous aircraft manufacturers are turning to 3D printing in order to reduce the overall weight of their aircraft. Complex geometries and new materials offer superior strength with less mass, potentially saving organizations like NASA boatloads of fuel, and thus money, during the launching of spacecraft and/or rockets out of our atmosphere. At the same time, companies like Boeing and Airbus are using 3D printing to reduce the weight of their aircraft, allowing them to cut fuel costs for each flight. Manufacturing facilities across the globe are using 3D printing as a way to reduce costs, save time, and produce better products. By no longer needing to outsource the prototyping of parts, companies are able to quickly iterate upon designs on the fly, oftentimes saving weeks of waiting for third parties to return molds or prototypes. From automobile manufacturers to electronics companies and anyone in between, 3D printing is an invaluable technology. 3D printing is able to bring the imagination to life. Artists are not only able to jot their ideas down on a computer screen, they are able to physically bring those ideas into reality via digital models. What this technology does is it unleashes a whole new medium for creativity, not only for artists but for children and young adults who are now able to better visualize concepts, create functional products, and learn via hands-on experience. Over the next several years we will see an incredible expansion of the number of elementary, middle and high schools incorporating 3D printing into their curricula. This will in effect set these students up for careers which will almost certainly require 3D printing in one way, shape or form over the next decade or two. As the technology slowly works its way into the mainstream, more and more stores such as Best Buy, Walmart, Home Depot and others have begun carrying numerous different 3D printers. Additionally there are hundreds of different machines available online through retailers such as Amazon, Walmart, etc. Because the sheer number of machines currently on the market can be overwhelming for even the most knowledgable 3D printing enthusiast out there, much less a newcomer to the industry, we have curated a list of what we feel are the best 3D printers on the market currently, and have also published a guide on how to go about purchasing that perfect 3D printer for yourself, your family or your business. There you have it, a brief guide that we hope has left you a little bit more informed about what 3D printing is, what it’s used for, and how the various technologies involved in the process actually work.